I’m after photos of this art installation, part of the British Art Show 6, showing all over Newcastle/Gateshead during the end of this year. 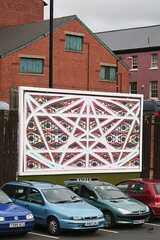 > Mark Titchner has produced a series of billboard posters at sites across Newcastle. 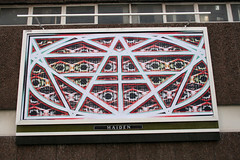 The designs are based on requests made to local authorities by the public which he has translated through the occult system of sigilisation, invented a century ago by the artist and magus Austin Osman Spare. For more details on whats happening check out the [hayward website](http://www.hayward.org.uk/britishartshow6/), the [baltic website](http://www.balticmill.com/html/viebas.html) and the [locator website](http://www.locatorart.org/) (contemporary art in newcastle/gateshead locator). Update: found two (no three!) of them. They are weirder looking than I expected. Anyone wanna get the Byker bridge on for me?